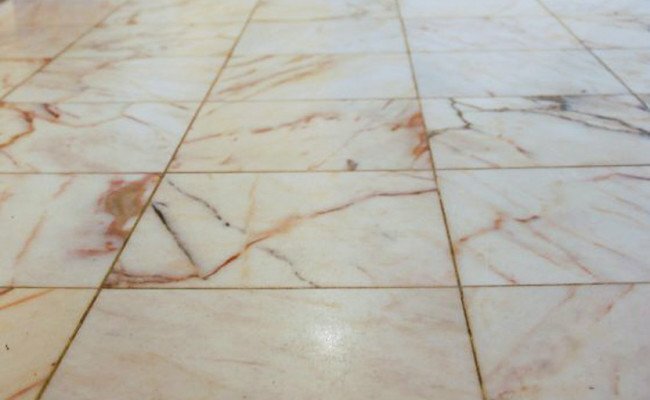 The Desert Pink marble floor in this San Diego home, after 30 years of neglect, was really showing its age. It had never been restored or professionally cleaned. Many people see a floor like this and assume that it will have to be replaced. But natural stone, unlike other surfaces, can be restored to a brand new appearance, even if it is dirty-looking or damaged with etch marks and scratches. First, we honed the stone. Marble honing is a process that removes a thin layer from the stone surface, erasing years of damage to reveal the brand new stone underneath. After we honed the marble, we restored its shine by marble polishing. Next, we deep-cleaned and sealed the porous grout lines to protect the brand-new look and to make regular cleaning more productive. This floor really turned out nice! The homeowners wished that they had called us for marble restoration services years ago! Visit our Marble Services page or watch this short video to learn more about professional marble restoration services and this video to learn more about natural stone restoration for commercial properties. Perhaps you, too, have marble floors that, although regularly cleaned, have taken on a neglected appearance. Natural stone can last a lifetime with proper care and maintenance, but marble restoration can make your floors look like they were just installed. 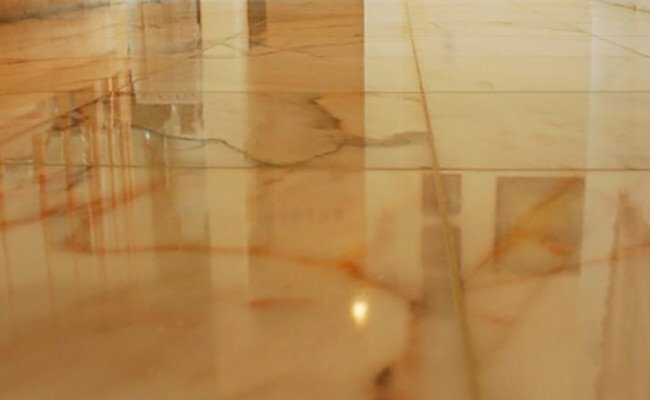 For marble floor polishing services in the San Diego area, contact us online or call 619-246-0240 today.